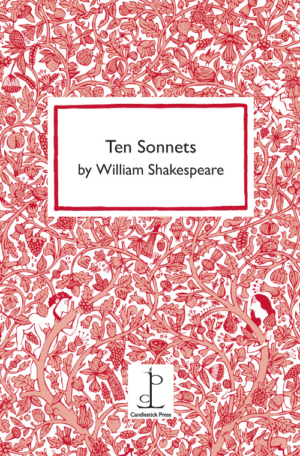 2016 is the 400th anniversary of Shakespeare’s death, and to honour that greatest of playwrights and poets, we have compiled our own selection of ten sonnets. Shakespeare’s sonnets, first published in 1609, have been pored over with endless fascination by critics through the centuries, raided by other writers and translated into every major living language. To read them is to be immersed in beauty. Although this pamphlet can only offer a sample (there are one hundred and fifty four sonnets altogether) each sonnet nonetheless stands alone too, full square in its fourteen lines, a small miracle.